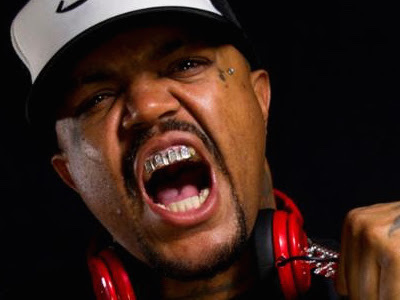 DJ Paul has announced his Year of The Six project, which is slated for a June 6 release, according to a press release. The forthcoming project from the Three 6 Mafia rapper-producer features the single “Wur Da Dope At,” a collaboration with Kokoe Chapo. DJ Paul and Juicy J are the masterminds of Three 6 Mafia, the Memphis Rap group that rose to national prominence in the late 1990s. The crew’s most recent project was 2008’s Last 2 Walk. Since then, DJ Paul teamed with fellow Three 6 Mafia members Gangsta Boo, Crunchy Black, Lord Infamous and Koopsta Knicca in 2013 to form Da Mafia 6ix. DJ Paul has also released a string of solo material since Last 2 Walk. 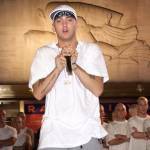 In October, he released the Master Of Evil album. Listen to “Wur Da Dope At” below.